Both our Spec 30 and Spec 40 brands incorporate a “W” to denote a key feature that differentiates our product from the others. A close-up view of the turf cross section reveals a W shape that goes along the length of each strand of synthetic grass. The W profile maximises the structural integrity meaning this lawn will remain upright for a longer period than other products which flatten over time. Being basically maintenance free makes it perfect for both residential and commercial use. It’s easier to erect when installing during the stage of sweeping sand. The turf stays upright for much longer, therefore minimising maintenance. It also gives the yarn more body for a fuller/thicker look. Spec 30 is great for both residential and commercial use. The Spec 40 is our prestige model. It has the same yarn as the 30mm turf but with a taller pile giving it a lush, luxurious look. It is perfect for those looking for more of a display home feel while still being comfortable underfoot. 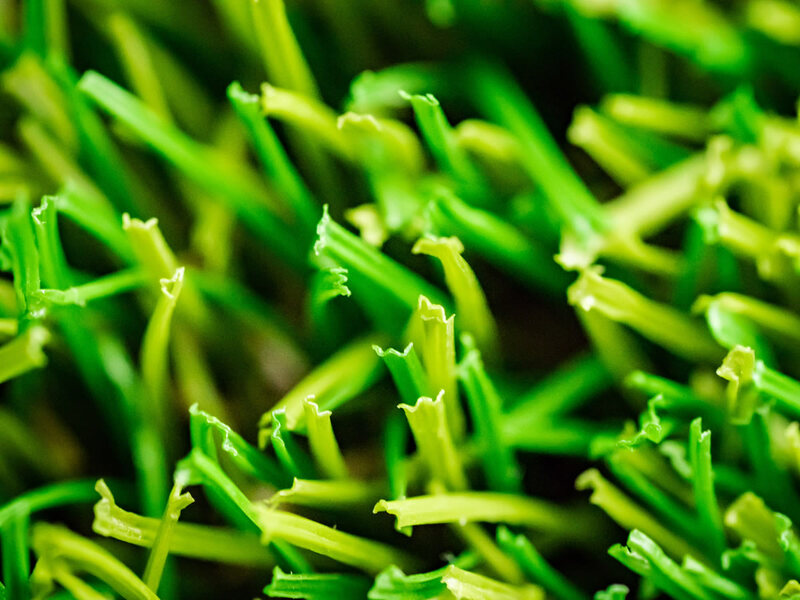 The Next Generation Turf advantage starts in the design of our synthetic grass products. W Spec gives users the best possible combination of life, look and feel.